You may have heard about some changes coming to Google’s Maps API. They have announced that certain Maps products will now have charges associated with them. This is what we know. For the most part, this will mainly apply to association sites with dynamic Google maps; however, there are some individual inn sites that might have special attractions maps functionality that will also be affected by these changes. 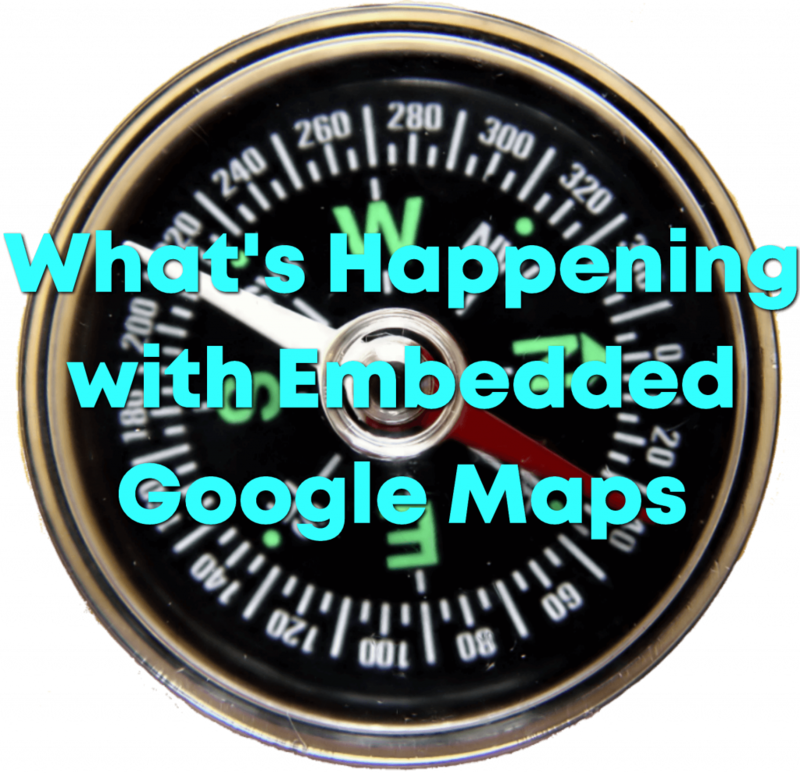 Embedded google maps, like the ones on Directions pages, are still free (nothing to do). Dynamic google maps, like those which are used in association sites or sites with special attractions functionality, are no longer free. These are maps that require what is called an API key. Owners of sites with this kind of map will be required to set up a billing account and obtain an API key for their map. A bright spot is that Google is providing a $200 monthly credit (about 28,500 map calls). However, after that amount, the client will be billed. For most of our clients, this should be plenty to cover the number of map loads per month. How does this affect existing sites? Some website owners with dynamic maps will be required to enter billing information in order to continue to use the dynamic Google maps on their websites, even if the $200 per month credit will cover all of their map calls. “If my web site or application becomes suddenly popular, will my maps stop working? As of now, none of the dynamic maps on any of the Acorn clients’ sites have stopped working, regardless of whether they have filled out the billing information, and despite the July deadline. We don’t know when they might be affected. If you are an Acorn client, and you have gotten an email from Google saying that you need to enter billing information to continue to use your dynamic maps, or have noticed that the maps on your site are no longer working, please contact our Support department for instructions on setting up the billing account and obtaining an API key. We will do the rest. This entry was posted in free tools, google by admin. Bookmark the permalink.